Unifying Japanese minimalism with Italian design and German tradition, Magis’ Cu-Clock Clock by Japanese designer Naoto Fukasawa reduces the traditional cuckoo clock to a modern minimalist work of art. 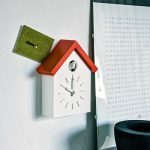 This new interpretation of the cuckoo clock wears only the inclined roof and the cuckoo bird to remind us of the 18th century German Black Forest original. 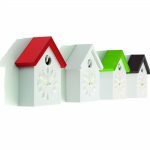 Cu-Clock is constructed from injection molded ABS-plastic, and is battery operated. 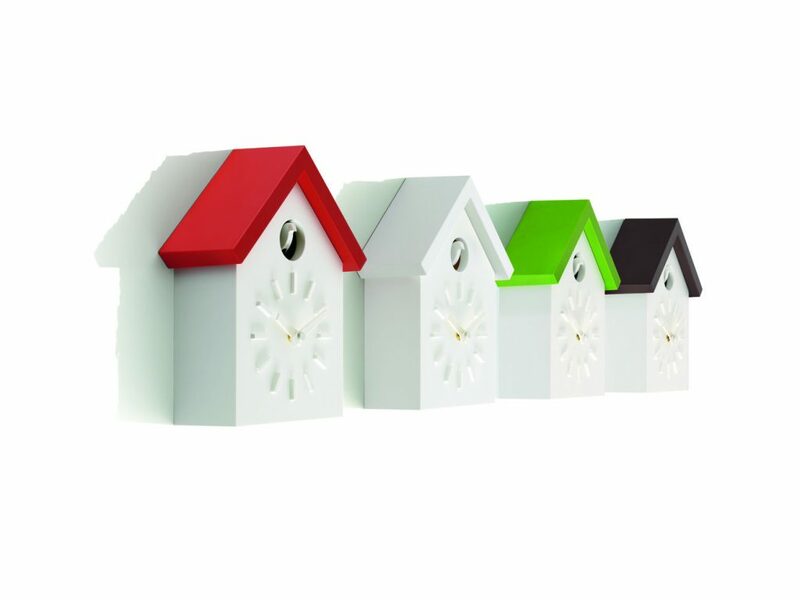 Cu-Clock housing is white, available with a choice of three roof colours: orange, green, or white.